Mold is a fungus that grows on plants and fibers and thrives in damp locations such as bathrooms, basements, attics, and crawl spaces. 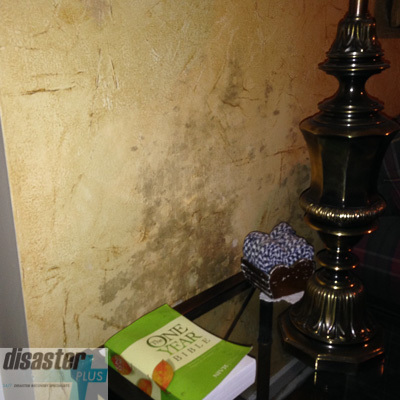 The presence of mold in one’s home indicates a moisture problem. 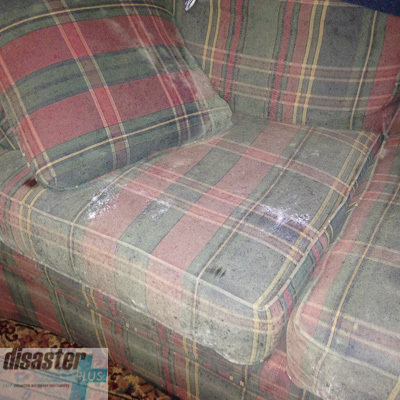 Disaster Plus can provide mold remediation services that include testing for harmful mold spores, removing all discovered mold, and cleaning up any trace of the harmful mold in your home quickly and safely. 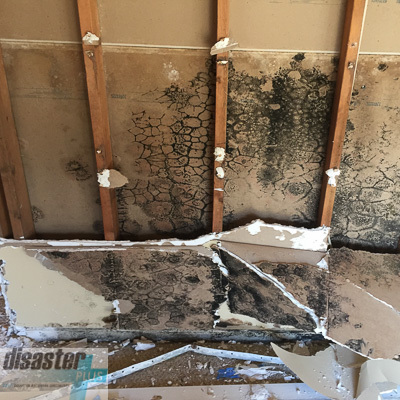 Mold can begin to grow within 24 to 48 hours of moisture build up, which is why immediate attention is required to prevent health related issues associated with the fungus and to prevent long term damage to the structure of your home. 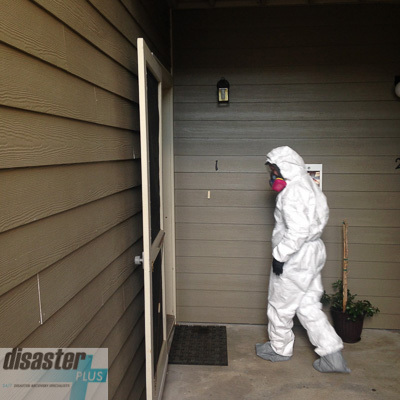 By providing you with mold remediation services, Disaster Plus can improve the air quality in your home, leaving you feeling and breathing better. We have trained mold technicians who are trained in effectively removing and cleaning up any areas of your property that have fallen victim to mold damage, in addition to possessing mold remediation equipment such as Negative Air Machine Scrubbers. By creating negative pressure, these Negative Air Machine Scrubbers capture the contaminated air and produce clean non-contaminated air. 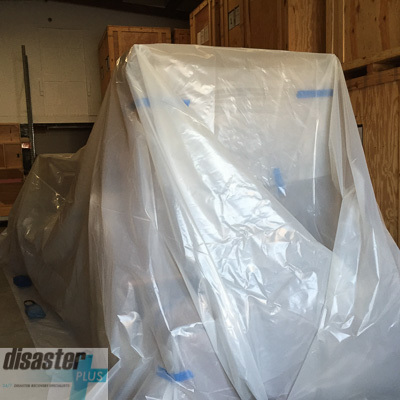 A negative pressure environment will help to contain the mold, dust, particles and odors within the workspace containment barrier. Air always flows from areas of higher pressure to areas of lower pressure. Creating and maintaining negative pressure creates inward airflow direction through any leaks or openings in the containment barrier. This prevents airborne contaminants from escaping into and contaminating other parts of your property, ensuring that our work in your home is complete and thorough. 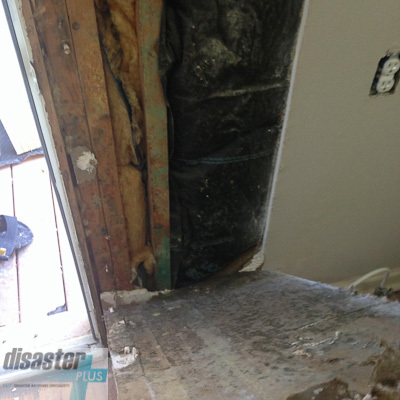 If you know your home is currently suffering from mold damage or if you’ve had water damage in your home and suspect it wasn’t thoroughly cleaned and disinfected, don’t wait! Call 800-724-7247 to schedule an inspection and estimate! From the very first phone call to the moment they drove away I was so glad I called this company. You can tell that they go through a lot of training on how to handle and talk to people under stress. I hope I never need their services again but if I do, I will call again in a heart beat. Fully suited in a complete Personal Protection Equipment outfit. 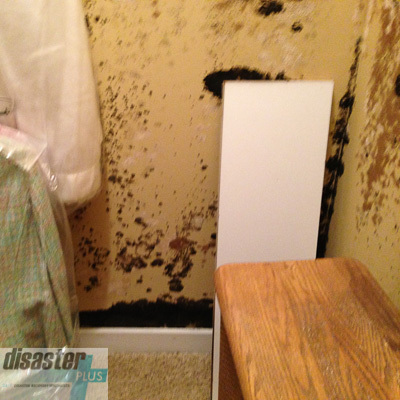 Mold growth in a closet. 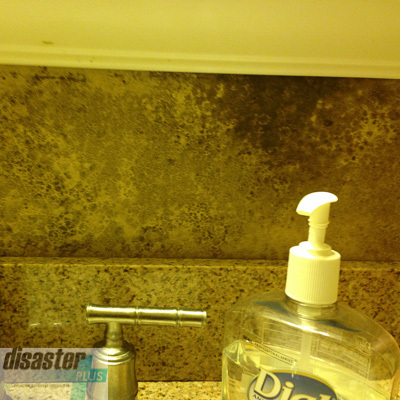 Mold growth on the walls of the home. 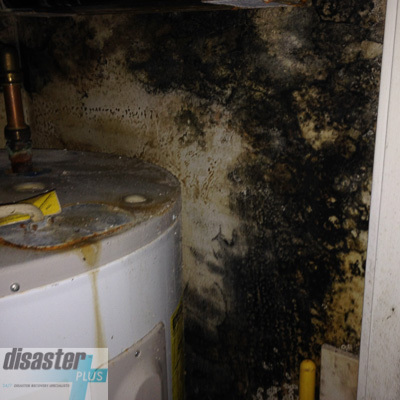 The source of the mold growth in the home was this hot water heater, which leaked for 6 months straight. 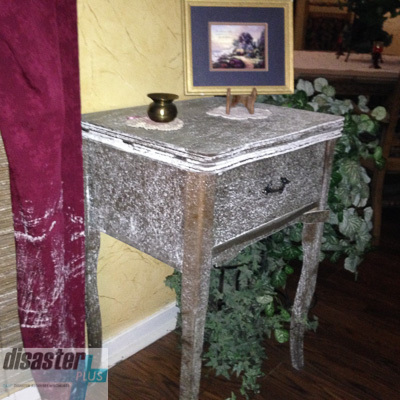 Mold conquered every area and nearly every item in the home. 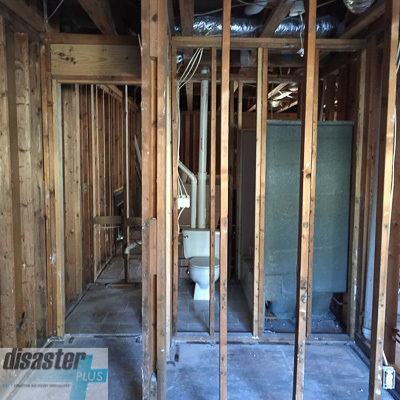 The removal of all the mold damaged walls and building materials. 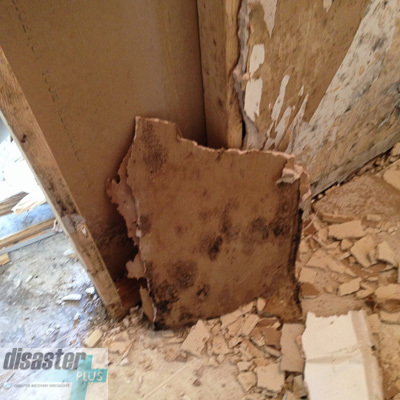 The removal and disposal of all the mold damaged walls and building materials. 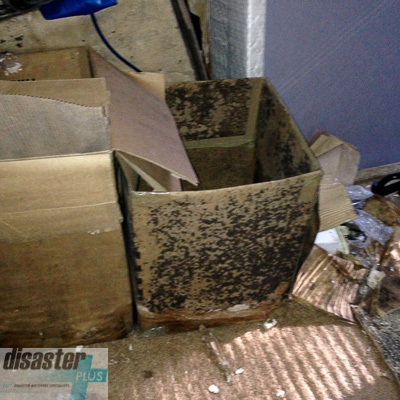 After all of the mold damaged areas and items had been removed from the home. 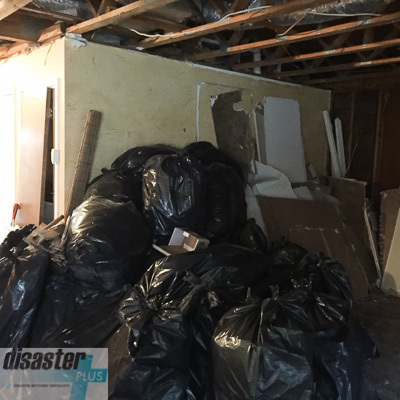 The items inside of the home that were salvageable were brought back to our office, where they were then cleaned and stored during the reconstruction of Mrs. Watt's home. 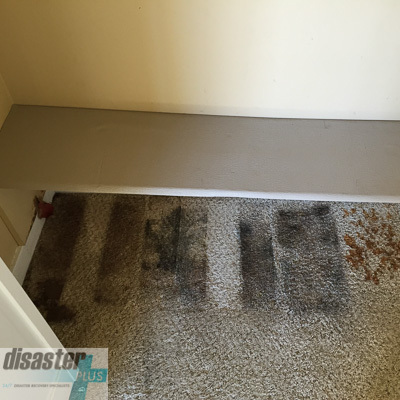 Disaster Plus has a certified Applied Microbial Remediation Technician on staff that performs pre-inspections of possible fungal contamination. This inspection consists of thorough moisture detection and a visible inspection of potential contamination. There is no analysis or sampling that is performed in these inspections. All analysis and sampling is deferred to a CIH (Certified Industrial Hygienist) of the client’s choosing. 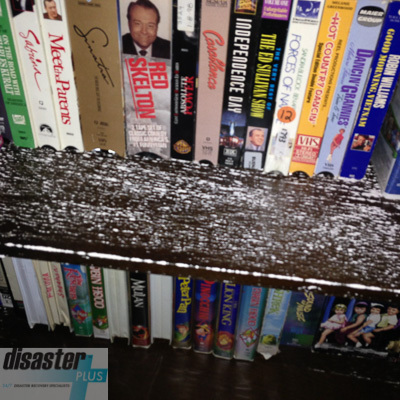 Disaster Plus does not recommend or affiliate itself with any firms or laboratories to prevent any claims of impropriety, thereby limiting our exposure. 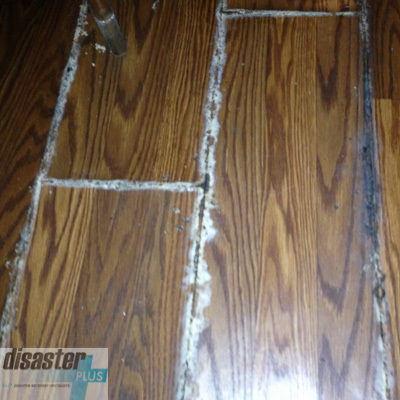 Disaster Plus offers mold remediation services. 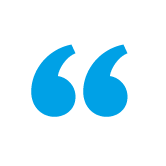 We require that the property owner or management firm solicit the services of a Certified Industrial Hygienist to perform pre-remediation testing, develop a scope of work to be followed, and perform post remediation testing to insure that the building is safe for occupancy. Mitigation services are performed per IICRC S520 guidelines – the standard reference guide for professional mold remediation.